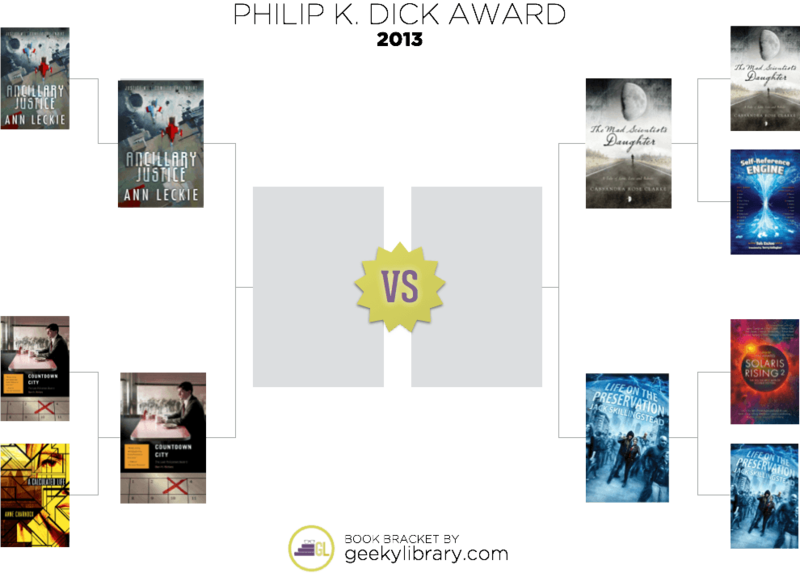 After the excitement of round 1 of the PKD Smackdown, the books that survived return for the semi-finals: Round 2! Using the same tactics that won the match in Round 1, Countdown City uses the momentum gained by being a sequel to try to get ahead, but this time, the strength of a quality debut novel like Ancillary Justice makes for a close match. Countdown City holds on to the very end until the sequel just doesn’t quite live up to expectations. Ancillary Justice wins the match! Underdog Life on the Preservation pulled off an unexpected upset in Round 1, but the surprise tactic is sure to work only once. Indeed, the patience of a literary novel with a plot spanning years simply outlasts Life on the Preservation, which abruptly sets up a time loop to wallow in where the loss has never happened. Mad Scientists’s Daughter advances to the final round!